I recently attended a talk by Dr Darragh O’Donoghue hosted by the Royal Society of South Africa on their 134th anniversary. Dr O’Donoghue holds a Phd in astronomy from the University of Cape Town and is currently the Southern Africa Large Telescope (SALT) instrument director with extensive research interests and activities across the world, including being heavily involved in SALT on all levels as well as serving as the deputy chair on the board of directors for the SALT program. The discussion of his talk was centered around the issues SALT has faced in the past, how they approached these issues, and how they have managed to solve them. It was a fascinating talk designed to inform the layperson without entirely losing them in the technicalities. There was a huge inefficiency in the Robert Stobie Spectrometer and it was unreliable. This problem was dealt with by the University of Wisconsin. It is now fixed and ready to be installed by the end of March. There was also an utter failure of the telescope to provide acceptable images of stars. The second problem has been the most troublesome and worrying because, if the problem was not remedied the entire SALT endeavor would be regarded as a scientific failure. Dr O’Donoghue and his team worked over 13 hours each day for months in an effort to fix the second problem in Sutherland, spending weekends in collaborating in Cape Town, 324kms away. They had the onerous task of diagnosing and working on the problem and quickly developed into self-taught optical engineers. Their approach to the problem involved interrogation of the suspects, apprehension of the culprit, and rehabilitation of the criminal. First, some background. SALT began as a copy of the Hobby Eberly Telescope (HET) in Texas. This was, at least, according to the modest speaker. In the Q&A which followed one of his colleagues stood up and reprimanded him for his modesty, explaining that Dr O’Donoghue had not just copied the HET system but in fact improved on it in many ways, to the point that technicians working on the HET had adopted similar approaches to fixing problems and operating their telescope, building on SALTs optic improvements. SALT has 4x the field of view as the HET and 5x sharper images. 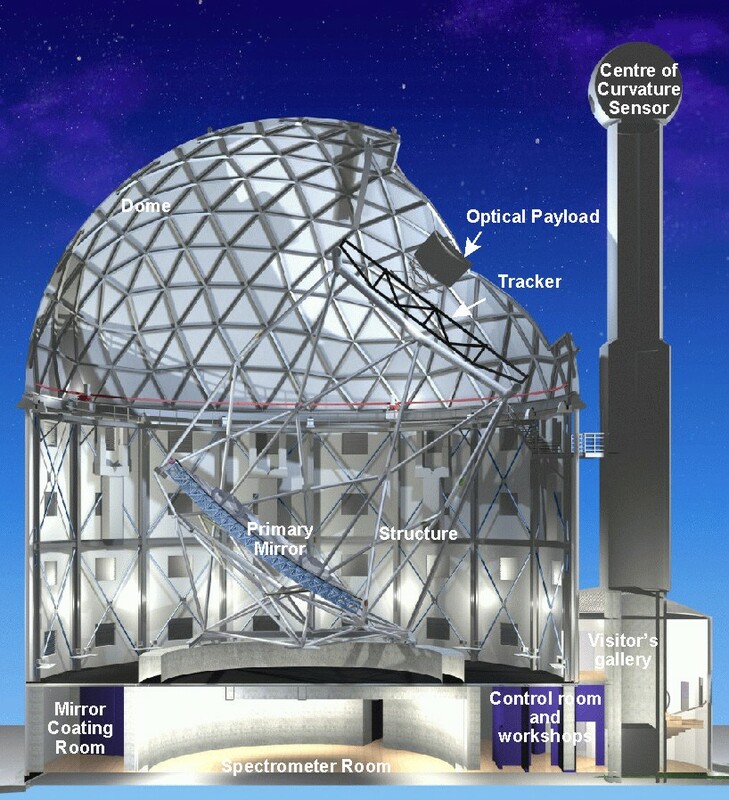 SALT is currently the biggest telescope in the Southern Hemisphere. It has a spherical primary mirror with 91 hexagonal segments and tracks stars with a tracker. 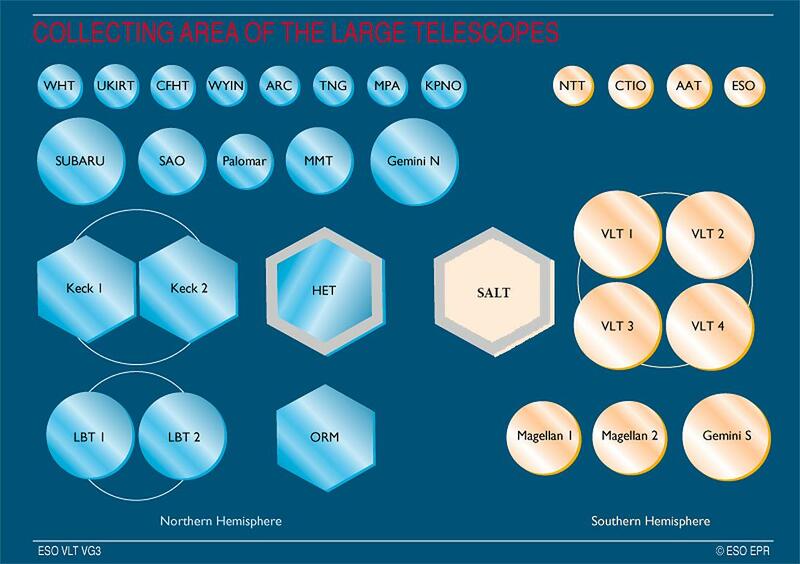 South African astronomers began the SALT Foundation (pty) Ltd and signed up with international partners and collaborators.There are currently 13 SALT partners, 7 in the USA, 3 in Europe, and the rest in India, Canterbury and, of course, South Africa. Shareholders have been divided into observing time relevant to their shares in the project. South Africa was chosen because of its location and reputation for being a dark-sky site, as well as the SA government’s interest in astronomy. South Africa contributed 1/3 of the $30m costing. However, since the inauguration of the project efforts have been focused on repairs and commissioning, with little resulting science. The whole purpose of optical telescopes is to gather more light in order to see fainter objects. The Large Telescopes also need to be capable of pointing at and tracking stars. This requires very accurate temperature control and mechanical stability since these factors all effect the image quality. The tracker should move as the star’s light footprint moves across the mirror. Spatial resolution is also important for optical image quality in order to achieve the sharpest star image possible (the mirror shapes must be manufactured to an accuracy of 10-4 mm with an alignment of 0.025 mm). Image quality is the clarity of detail of the images (this can refer to telescopes, microscopes, or even eyeballs, as anyone who wears glass can attest). 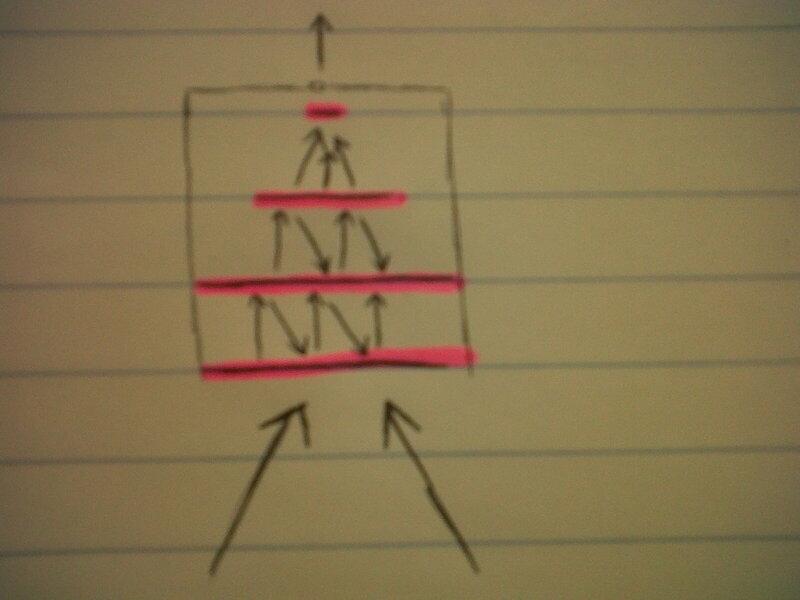 Poor image quality results in blurry, undetailed, and unfocused images. The same is true for star images. The blurrier the image the less visible fainter stars will be, in most cases rendering them entirely invisible. The point of large optical telescopes is to look at fainter and fainter objects. 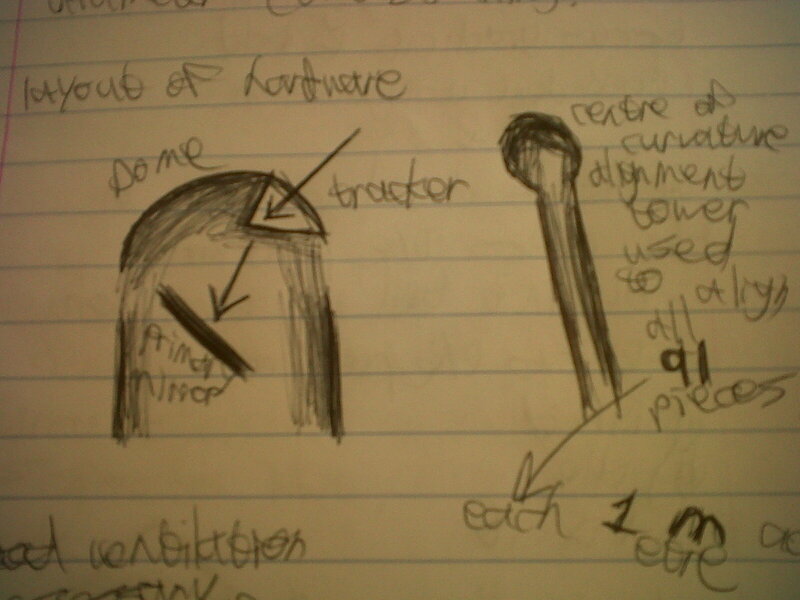 Because the primary mirror is spherical and not parabolic like conventional telescope mirrors, the light enters and strikes the curved reflective surface of the mirror and appears focused but blurry on the other side, as expected. This blurriness is corrected by something called a Spherical Aberration Corrector (SAC, designed for SALT by the speaker). It contains four differently shaped mirrors and is approximately the size of an oil drum and weighs a total of 187kgs.This is used to clean up the spherically aberrated starlight. All optics are aligned to 1/4 of the diameter of a hair (0.025mm). Good ventilation is necessary for good image quality. The hexapod (six-legged, tiled platform) is installed with the SAC and instrument rotator rig. Sharp star images were produced in places, but these stars were blurry in other places. Odd shapes appeared on the edges of the telescopes view. Stars appeared to have elongated discs. The details changed depending which part of the sky the telescope was viewing. These issues were summarised as a focus gradient and field dependent astigmatism. It was difficult deciding where in the optics the problem was. It was impossible to tell in 2005 how serious the problem was. Here the speaker joked that his options at this point were to either, a) be fired, b) die, or c) somehow fix the problem. They narrowed down three subgroups which could be the culprit: the instruments, the SAC, or the primary mirror. They quickly ascertained the innocence of the instruments by trying different mechanics on the telescope with the same blurry results, with the conclusion being that either all of the instruments were faulty (a highly unlikely possibility) or that none of them were faulty. The primary mirror was the most likely suspect. It had capability and opportunity, especially since it is aligned in halves which could easily create double overlapping images if misaligned. Many tests were conducted but, like every good whodunnit, it turned out that the prime suspect was in fact an innocent red herring. Unfortunately the problem appeared to be with the SAC, the most complicated optical sub-system. No one was keen to fiddle around in it. It was also, up until now, only deemed guilty based on circumstantial evidence. There were no suspects left, but there was no direct link between the SAC and the blurry images. It could have been any number of things in the SAC that could have been failing to focus the light. The mirrors inside it could be tipped, tilted, and decentered. It could by mechanical pinching would would result in mirror distortion known as optomechanical pinching. Invasive and non-invasive surgery and testing commenced. Eventually, after many months of trials and errors, dial gauges were installed to track the tiny movements of the mirrors. Some parts of the SAC you can’t touch or even breathe on for fear of corrupting the sensitive instrumentation. The SAC mirrors move when the rotation stage is turned on, and the mirrors jiggle nearly imperceptibly. It turned out that thermal and mechanical stressed transmitted down the side of the SAC were effecting the SAC mirrors. The SAC had a steel interface rim and was bolted to an aluminum ring, resulting in a thermal marriage made in hell. These metal combinations were also too heavy for the tracker, which basically meant that the system was simply poorly designed. Repairs began and involved the moment the speaker had dreaded; removing the SAC. From that point onwards SALT was officially out of operation. The interface had to be modified and everything needed to be painstakingly realigned. This rehabilitation process lasted 1.5 years but yielded excellent results. On 10 August 2010 it was remounted on the telescope and the results were remarkable. May 2011 will reveal the first post-repair science results. The project has had a poor return of science so far and the international partners have been very disappointed and taken a lot of convincing to stay onboard. Public opinion seems unaffected by the situation though, with 150,000 visitors to SALT each year. The fact that South African technicians, engineers, and astronomers diagnosed the problem and repaired the delicate instrumentation all in Sutherland labs has done a lot for South Africa’s bids to host the MeerKAT and the Square Kilometer Array (SKA). These radio astronomy projects are far more ambitious. This repair operation is a huge success for science, marking the most radical surgery at SALT to date. It was done on the premises and the impressive effort resulted in a huge success. Hopefully SALT will begin yielding exciting scientific data this year. Next Post How do we Know what the Stars are Made of? Hey Kelly, what a thoroughly enjoyable article. It speaks right to my inner nerd, and is well-written and clear. I am insanely lucky at the moment to be living just 26km from the 26m radio telescope at Hartbeeshoek… where you have to turn off all radios and cellphones (and if they could wing it, your car) within 5km of the site. 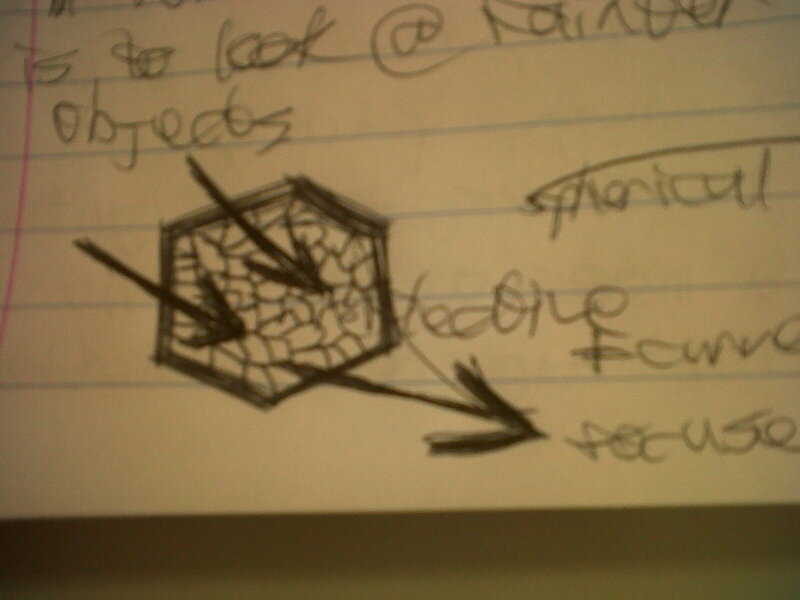 SA just has such a wealth of astronomical know-how (literally and figuratively), I really hope we get the SKA project. I will be the first keen-bean jumping up and down to work on that one! I would like to say thanks so much for the work you have put into writing this piece. I think it’s so important that this topic is being spoken about. It’s crucial that these projects be started in SA and not fail. They can benefit the country so much in so many different ways. I wish more people could see that. I’m getting tired of hearing everyone complaining about SA not needing this sort of scientific exploration.